Dental implants have become an increasingly popular solution to missing teeth which use an anchor screw to secure the implant. In order to place dental implants, patients must have proper jawbone density in order for the anchor screw to act as proper support. Unfortunately, some patients may not be ideal candidates due to low jawbone density. Without proper jawbone density, dental implants cannot be properly supported. Dr. Pashapour offers dental bone grafting in Washington, DC for patients with low jawbone density. Dental bone grafting is an effective way to promote healing and bone growth within the jaw. Because bone tissue has the ability to regenerate, placement of a dental bone graft can promote the creation of new bone tissue in areas of depleted bone. Following the placement of a dental bone graft, patients must wait a period of 4-10 months before becoming potential candidates for dental implant surgery. This period of healing allows for the bone graft to take successfully and proper jawbone regeneration. When teeth are removed, the bone surrounding the socket may deteriorate and become unable to heal on its own. For cases like this, a specific type of dental bone graft called a ridge augmentation is performed. Ridge augmentation, also known as a ridge expansion, is a procedure where the height or width of the jawbone is increased in order to accommodate future dental implants. Why is dental bone grafting performed? In order for dental implant surgery to be successful, you need proper jawbone density. The jawbone acts as the base for your dental implants and provides the support and stability they need to function properly. There are several reasons that low jawbone density or jawbone resorption may occur. The bone of the jaw, known as the alveolar bone, acts as the ridge in which the roots of the teeth are fixed. When a tooth or several teeth are missing, the bone of the jaw begins to diminish without the stability provided by the teeth. When patients who have had missing teeth for an extended period of time go to a consultation for dental implants, they may be surprised to find out that they are not a candidate for dental implants because of their low jawbone density. This typically occurs in patients who have not sought out a tooth replacement treatment or who have replaced their teeth with dentures or dental bridges, which do not provide the support of your natural teeth. In order to undergo dental implant surgery, these patients need to have their jawbone loss treated. Dental bone grafting and ridge augmentation surgery are 2 procedures that promote the regeneration of depleted jawbone. What materials are used during dental bone grafting? There are a variety of materials that may be used during your dental bone grafting procedure in Washington, DC. The specific material used will depend on your individual needs. Dr. Pashapour may use your own bone as the bone grafting material. Bone can be harvested from the patient’s mouth or other areas, such as the hip, depending on the amount of bone grafting material needed. Another type of bone grafting is an allograft, which uses donor bone as the grafting material. Finally, factor-based bone grafting materials are available that use growth factors in order to promote proper bone growth. Following the placement of a bone graft, Dr. Pashapour may also apply a PRF matrix. PRF, which stands for platelet rich fibrin, is an autologous matrix created from your own blood. The blood is spun down to create a gel-like sample of fibrin that is rich in platelets. This material can be applied alongside a bone graft in order to promote your body’s natural healing cycle, resulting in a quicker recovery period. What should I expect before dental bone grafting? The total length of a dental bone grafting procedure may last from 45-90 minutes, but this will vary from patient to patient. The details of your bone grafting procedure will vary depending on what material is being used during your bone graft. If Dr. Pashapour is using your own bone for the dental bone graft, he will begin your procedure by harvesting the appropriate amount of bone from the donor site, which will be decided on prior to your procedure. After the placement of the dental bone graft, Dr. Pashapour will apply a special material to promote bone growth and proper healing. 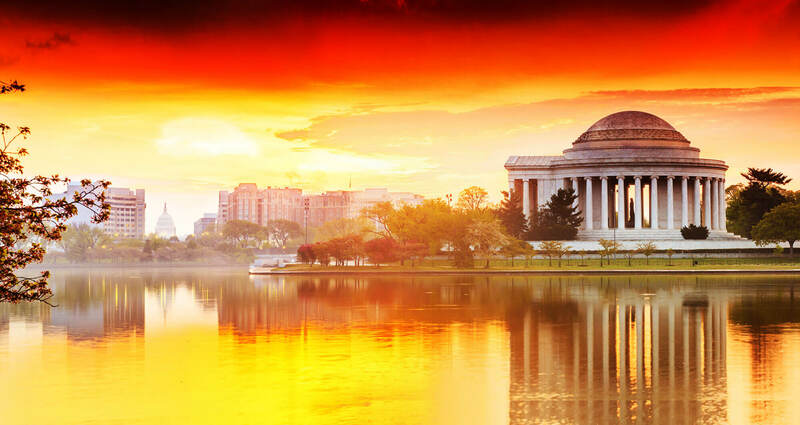 What should I expect after dental bone grafting in Washington, DC? Following dental bone grafting, you may experience mild discomfort or swelling at the surgical or donor site. Medication can be prescribed or suggested to reduce any uncomfortable symptoms following dental bone grafting. The use of straws must be avoided until the surgical site heals. A diet of softer foods is advised as you continue to heal. Over time, your dental bone graft will heal and begin to promote the regeneration of lost bone density within the jaw. How can I get started with dental bone grafting? Dr. Pashapour and his staff at Pashapour Oral + Facial Surgery would be happy to discuss the details of dental bone grafting with you. 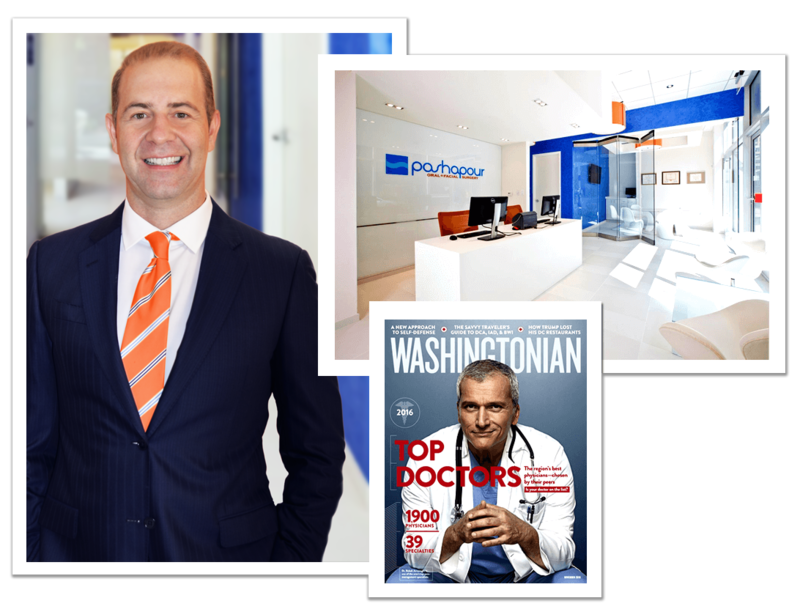 To schedule an appointment in Washington, DC or Arlington with oral surgeon Dr. Ali Pashapour, please call our office at 703-566-1990 or request an appointment online.